Don’t miss the first installment in a knockout new fantasy adventure series that no one will be able to get enough of! All Jack Blank knows is his bleak, dreary life at St. Barnaby’s Home for the Hopeless, Abandoned, Forgotten, and Lost, an orphanage that sinks further into the swampland of New Jersey with each passing year. His aptitude tests predict that he will spend a long, unhappy career as a toilet brush cleaner. His only chance at escape comes through the comic books donated years ago to the orphanage that he secretly reads in the dark corners of the library. Everything changes one icy gray morning when Jack receives two visitors that alter his life forever. The first is a deadly robot straight out of one of his comic books that tries its best to blow him up. 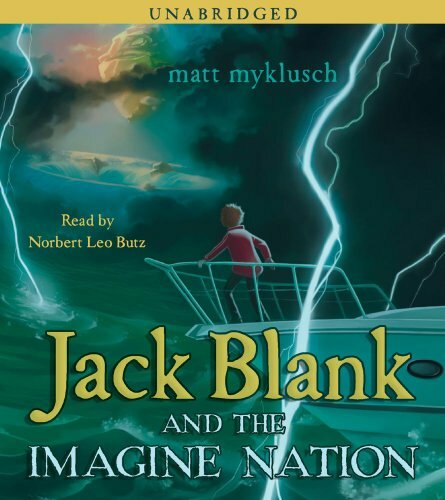 The second is an emissary from a secret country called The Imagine Nation, an astonishing place where all the fantastic and unbelievable things in our world originate—including Jack. Jack soon discovers that he has an amazing ability—one that could make him the savior of the Imagine Nation and the world beyond, or the biggest threat they’ve ever faced.